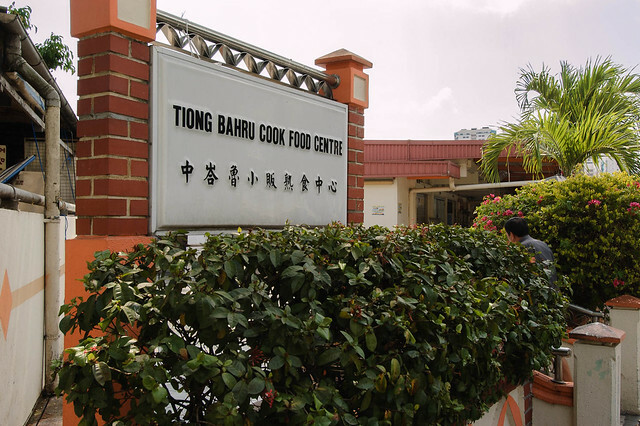 Signboard of the Tiong Bahru Cooked Food Centre, complete with a grammatical error! 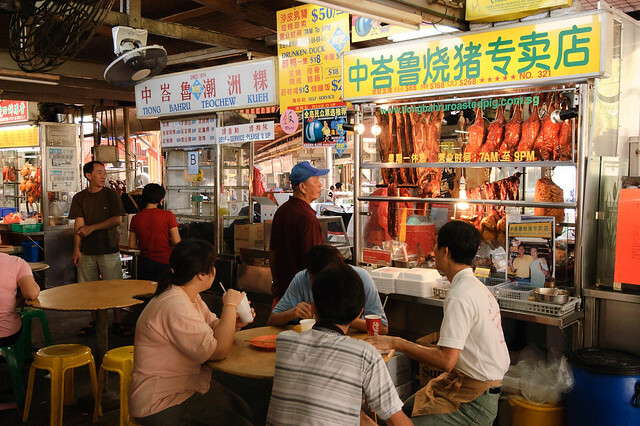 Most Singaporeans will know, or even eaten at the Tiong Bahru Market and Food Centre. 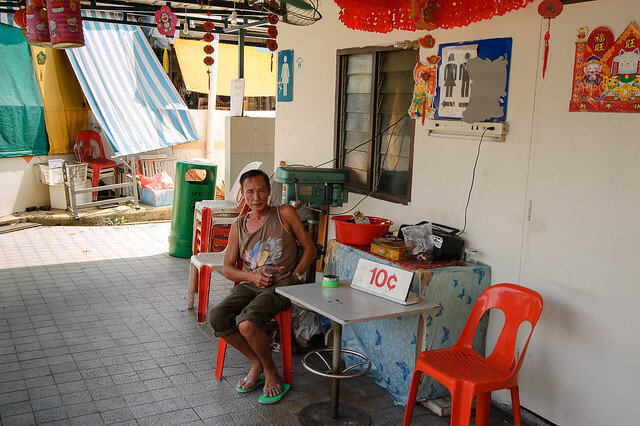 Built in the 1950s as the Seng Poh Market by the Singapore Improvement Trust (SIT), it was the first to be built in a housing area. 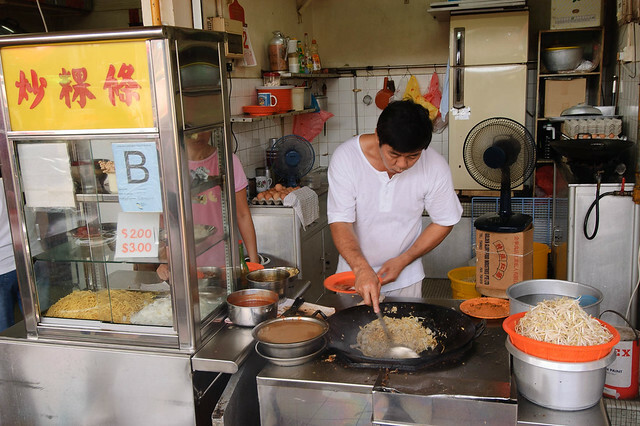 It houses many local delights such as Jian Bo Shui Kueh and Tiong Bahru Hokkien Mee. 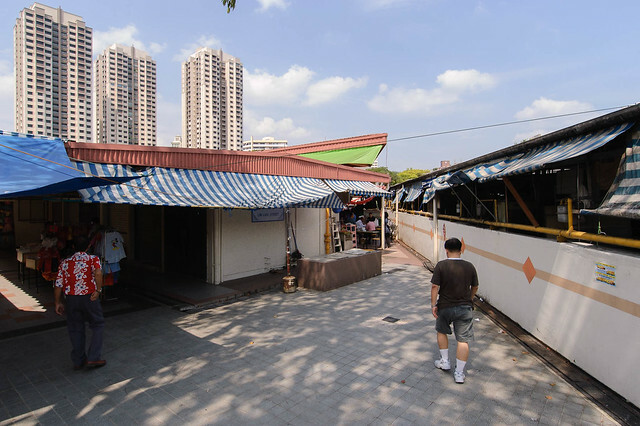 In 2004, the old market was demolished to make way for the new one that we see today. 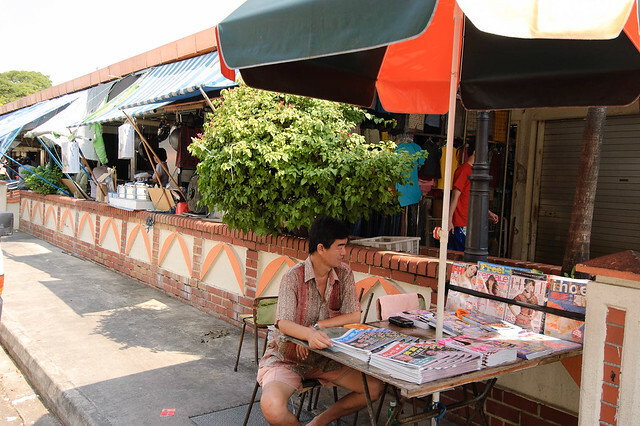 While it was being rebuilt, the hawkers were relocated to a temporary location nearby. 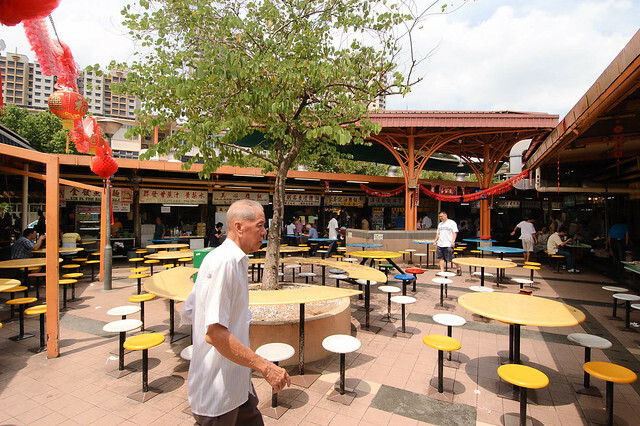 The new market was completed in May 2006. 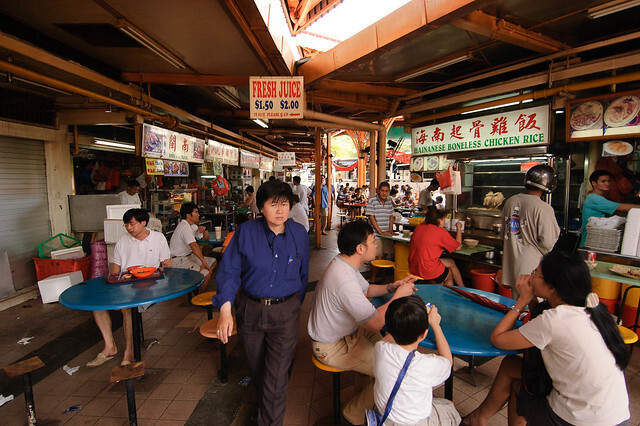 I was doing some housekeeping of my photos when I came across a set of photos I’ve taken in 2004, just before the old market and food centre was demolished to make way for the new one we see today. I’m sharing some of them here in this blog post. 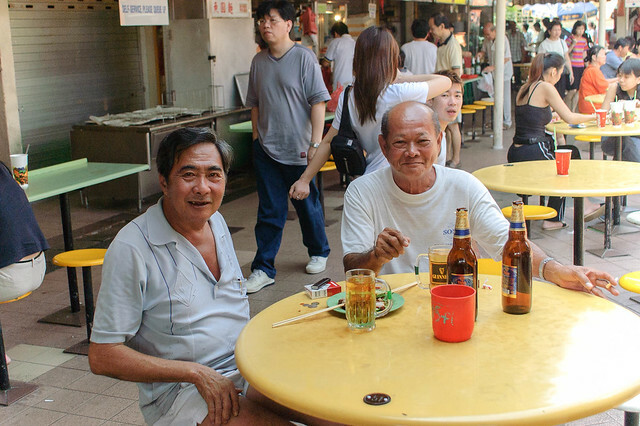 Two men take a break by the fish stall over drinks and cigarettes. 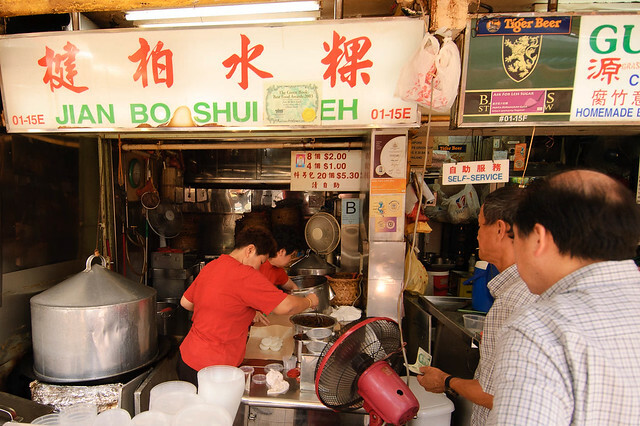 Jian Bo Shui Kueh, one of the most well-known stalls in the Tiong Bahru Food Centre. 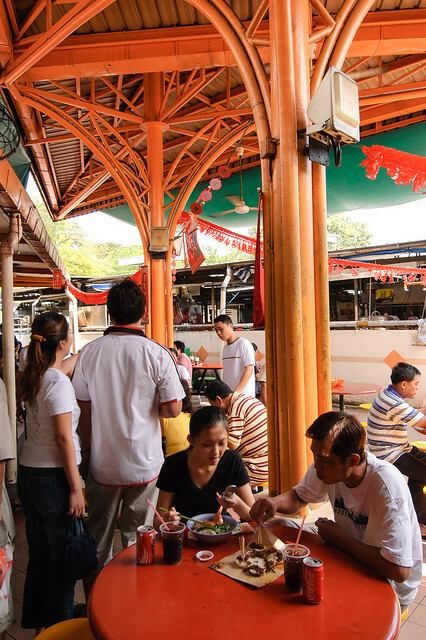 A couple enjoys their food at the indoor area of the Tiong Bahru Food Centre. Multiple arched columns support the roof of the covered areas. These two men enjoying their beer and food posed for a shot when they noticed me taking photos. Toilet attendent. Pay toilets with a makeshift “stall” like these can still be found in some places today. 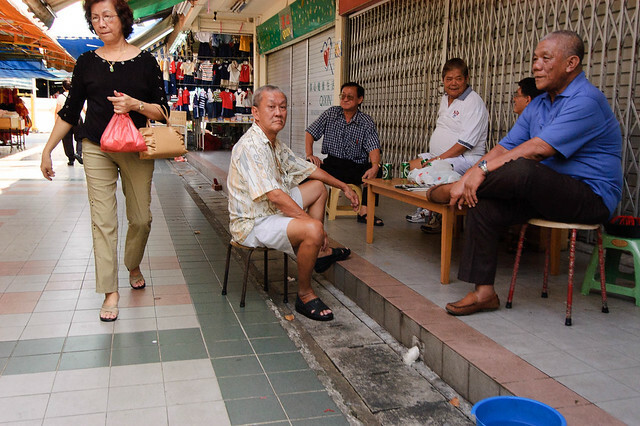 A woman walks past a group of men chatting on the five-foot way near the Tiong Bahru Market. 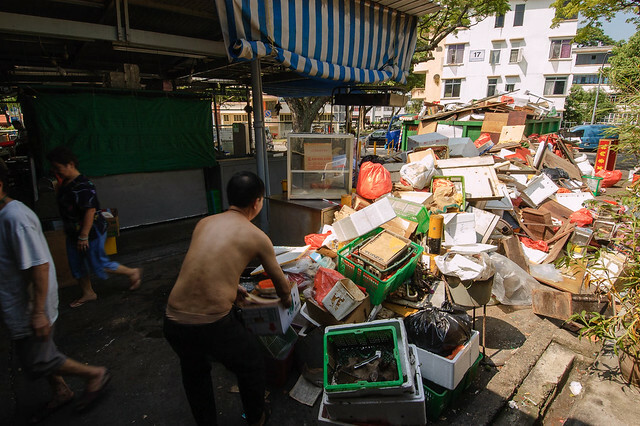 A man dumps unwanted stuff outside the market. 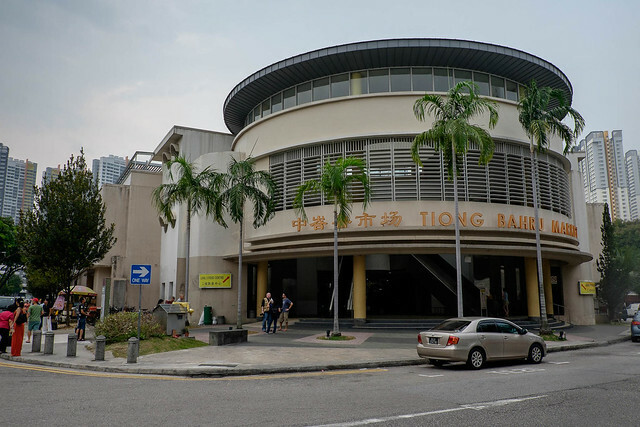 The rebuilt Tiong Bahru Market and Food Centre as it stands today. 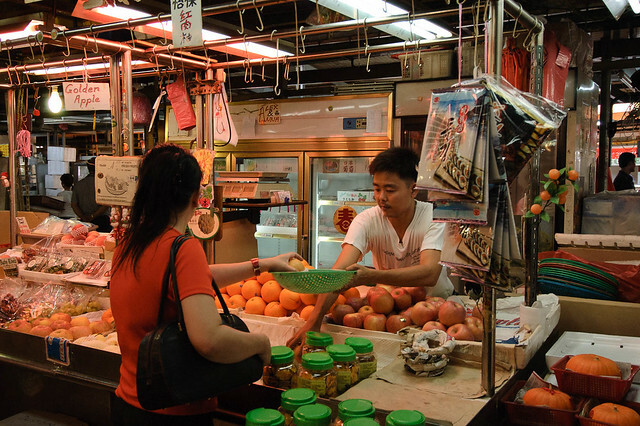 You can find more photos of the old Tiong Bahru Market in my Flickr Album. 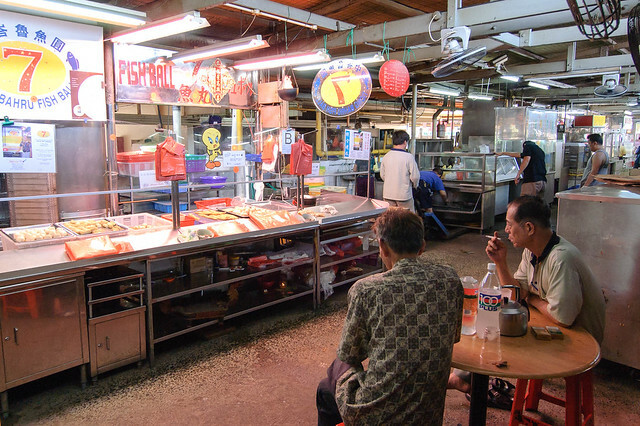 This entry was posted in Photography and tagged food centre, heritage, market, old places, Singapore, tiong bahru. Bookmark the permalink.